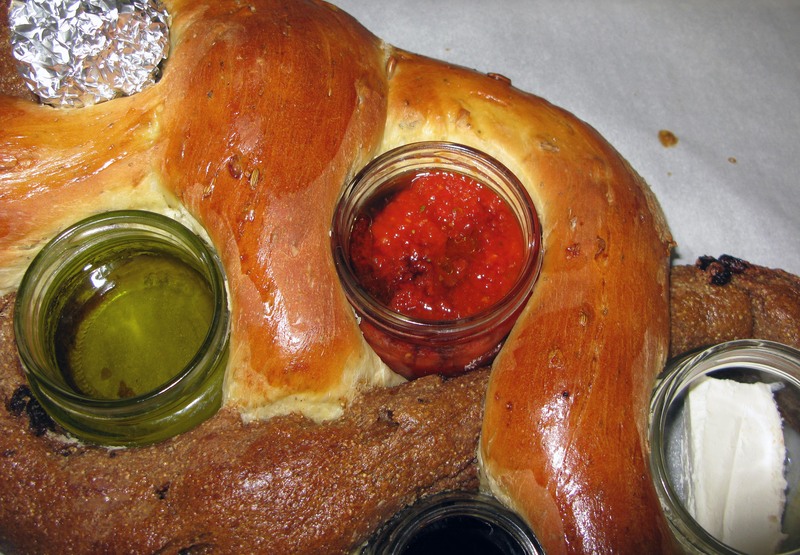 Yggdrasil Braided Bread | I Wanna Bake! This is probably one of my more out-there recipes, I have to admit. As usual, the idea for the recipe sort of popped into my mind out of the blue somewhere in the middle of watching the movie. How do you encapsulate the main conflict of the movie while also acknowledging some of the subplots that are important to the larger storyline to which all of the MCU movies contribute? In bread, obviously. So first, let’s talk about the source material. Thor: The Dark World focuses on an inter-realm event known as the convergence, during which the nine realms of Norse mythology align and the barrier between realms is thinner. This is all well and good, but as you might expect, this phenomenon leaves all of the realms vulnerable to evil intentions. Malekith the Accursed, the leader of the dark elves of Svartalfheim, attempts to harness the power of the Aether (SPOILER: one of the Infinity Stones /SPOILER) to bring darkness to all of the nine realms. Thor saves the day, with the help of Jane Foster and friends. Yea! At this point, you might be asking yourself how I got from there to braided bread, and I promise, we’re almost there. One of the subplots of the movie revolves around Thor’s relationship with his brother, Loki. Thor doesn’t trust Loki as far as he can throw him, but he needs Loki’s help to circumvent Odin’s orders and stop Malekith. This goes about as well as you would expect. In thinking about the differences between Thor and Loki, as well as their interwoven motives, I got the idea to use braided bread to represent them. The brothers are as different as night and day, so it only made sense to make one dough for each of them. 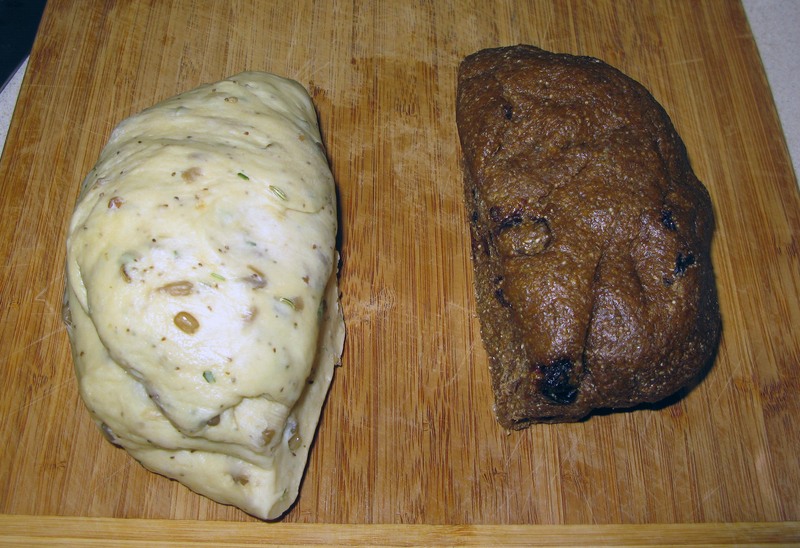 Thor’s dough is light, chewy, aromatic, and full of herbs and seeds. Loki’s dough is dark and sweet with an underlying bitterness. Each one can stand on its own, but when you braid them together, you find an unlikely partnership. 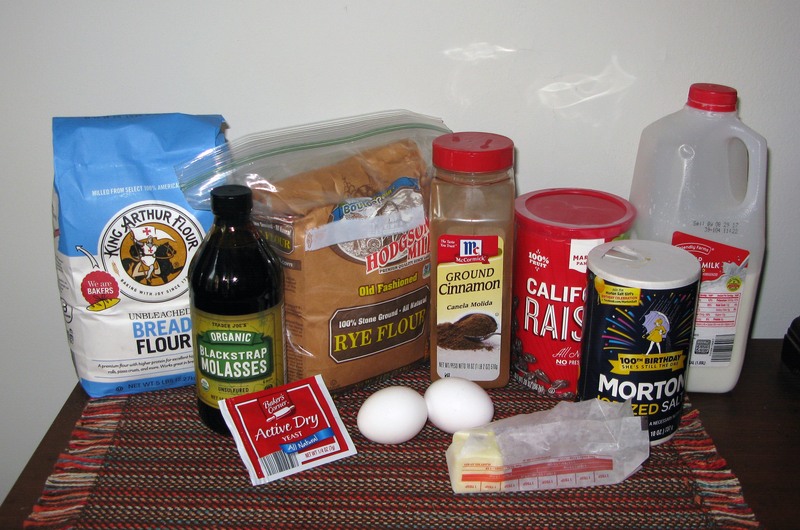 I based the recipe for Thor’s dough on the recipe I used in this post. Like Thor, it is fairly straightforward and hearty. 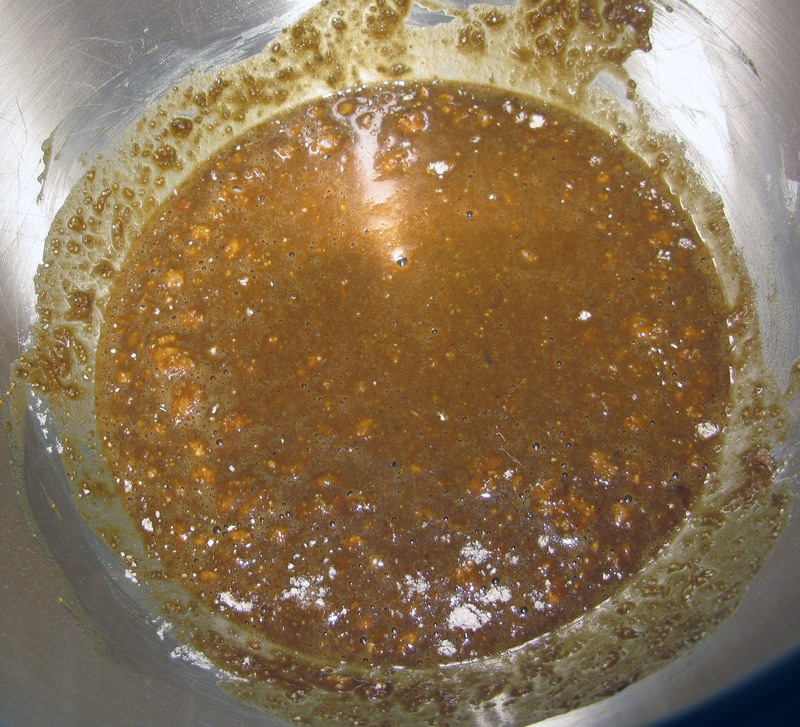 Loki’s dough, on the other hand is based on the recipe in this post. Instead of the usual sugar, I used blackstrap molasses as a sweetener to give the dough a hint of bitterness. [You can find it at Trader Joe’s for $4-5, last I checked.] 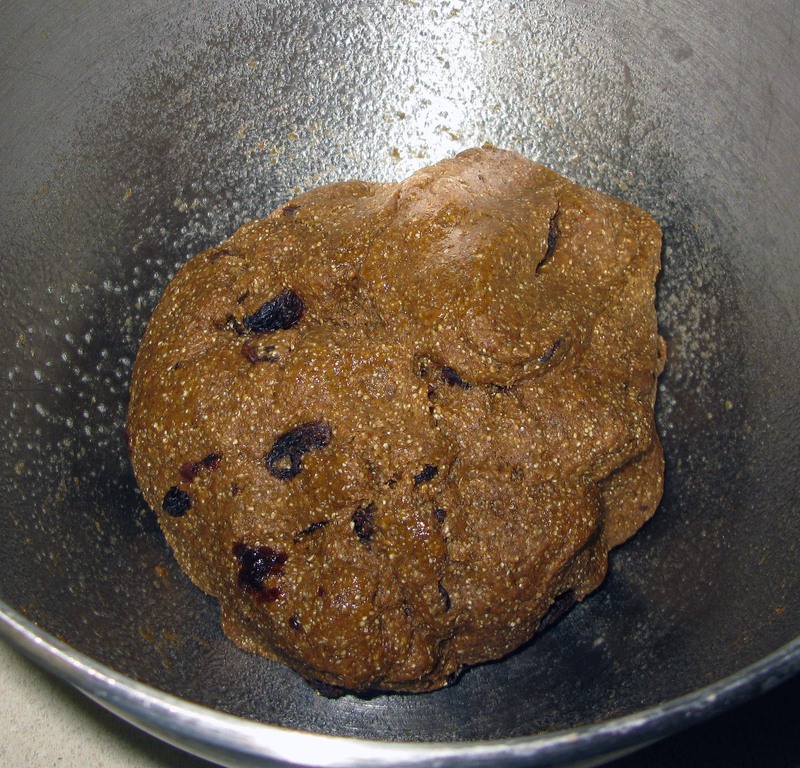 I also included cinnamon and raisins to make it taste almost like gingerbread. Unfortunately, the Loki dough didn’t rise as well as the Thor dough did, as you can see in the photos. I suspect this is because I was impatient when activating my yeast and didn’t let the molasses and water cool enough before sprinkling the yeast on top. This may have killed most of the yeast, thus the sub-par rise. However, I suspect that even without that error, it may not have risen as much as the herb dough because of the addition of rye flour. If I were to make this again, I would probably tinker with the proportions a bit to make the braid a bit more even (this would also leave a better volume of dough to make the crown and roots of the tree, which were a little sorry, if I’m being honest). Once I braided the two doughs together, I used different sizes and shapes of pimento jars (like these and these) to represent the nine realms within Yggdrasil. They’re not entirely lined up, but let’s just pretend that they are in a higher dimension. 😉 I would have preferred using more of the tiny two-ounce jars, but wasn’t able to find them in any of the four stores I checked that day. I did test ever jar I used in the oven at 500°F for 20 minutes before baking to make sure that they wouldn’t explode or do anything else crazy I wasn’t expecting. I would definitely recommend testing your jars and following the direction to add hot water to the jars before baking to help prevent cracking due to temperature shock. If you don’t have that many pimento jars (because you’re not a crazy person like me), or just don’t want to put them in the oven, you can also use crumpled balls of aluminum foil as placeholders for whatever containers you’d like to use. Just pull them out and throw them away once the bread is baked. For fun (and because I had a pile of pimentos on my hands), I decided to make a dip to represent the Aether. It’s really simple and easy to make, and the simple addition of some olive oil and balsamic vinegar to the top gives the effect of the flowing red substance from the movie. For the rest of the jars, I used cream cheese, butter, olive oil, vinegar, cinnamon sugar, and an assortment of sugar in some small favor jars that I had leftover from my wedding favors (pie spices, in case you were wondering). You can put whatever you want in the jars, or get even more creative and make little planets (if you are on the same level of crazy as me). 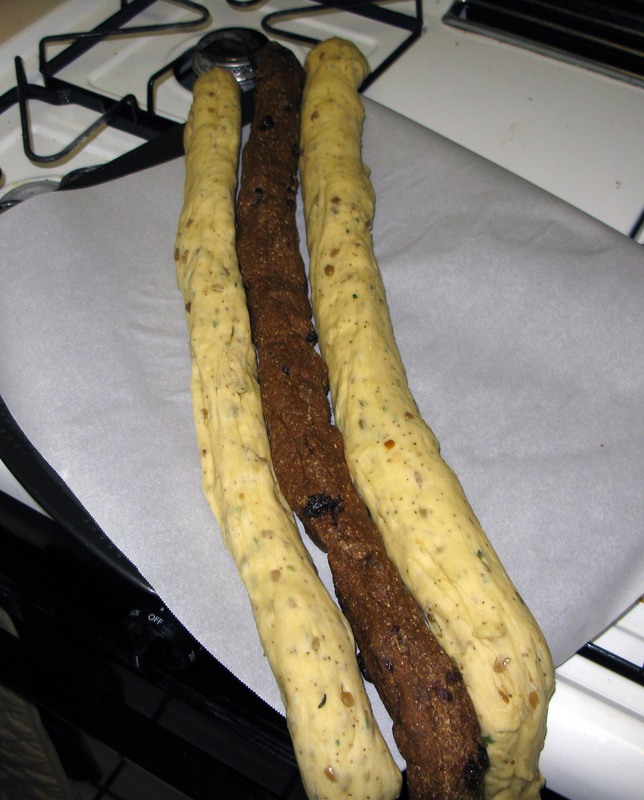 The process to make both doughs is roughly the same. I chose to make the herb bread dough first, so that’s the order I’m going to write about here, but it won’t make much difference either way. 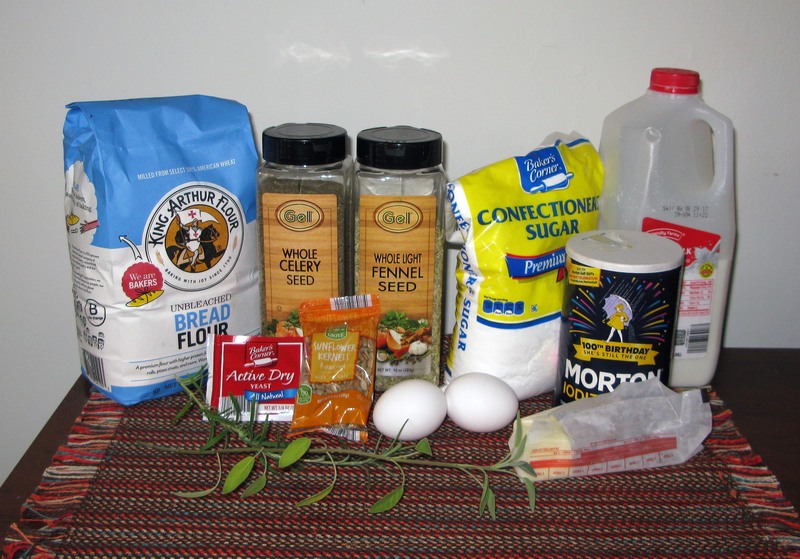 To start off, dissolve the powdered sugar in the warm water in the bowl of a stand mixer or other large bowl. Sprinkle the packet of yeast on top and let it sit for about 5 minutes, or until it looks creamy. 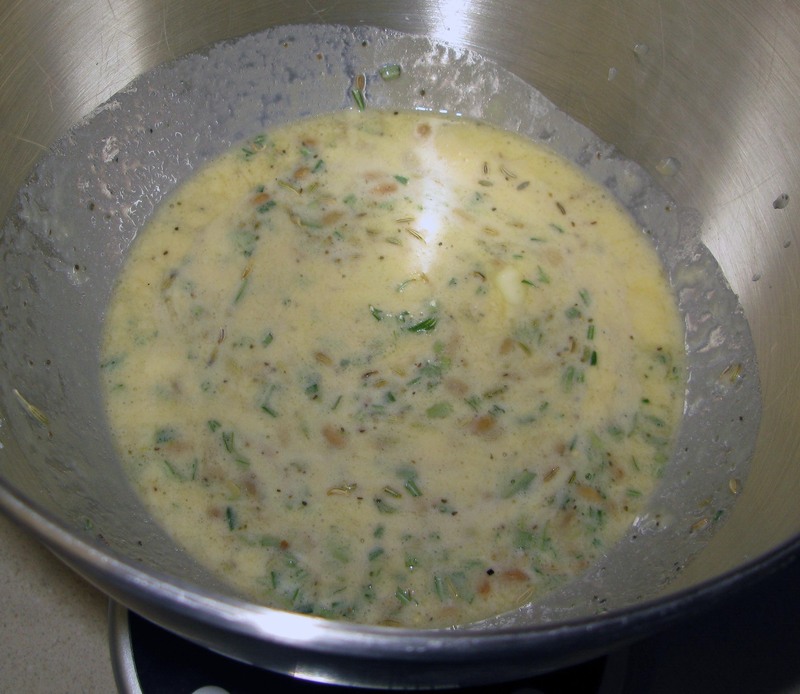 Next, add in the melted butter, milk, eggs, salt, fennel seeds, celery seeds, sunflower kernels, rosemary, and sage (that’s a mouthful!) and stir with the dough hook attachment or by hand with a wooden spoon until the mixture is combined. At this point, it will look like a chunky mess. 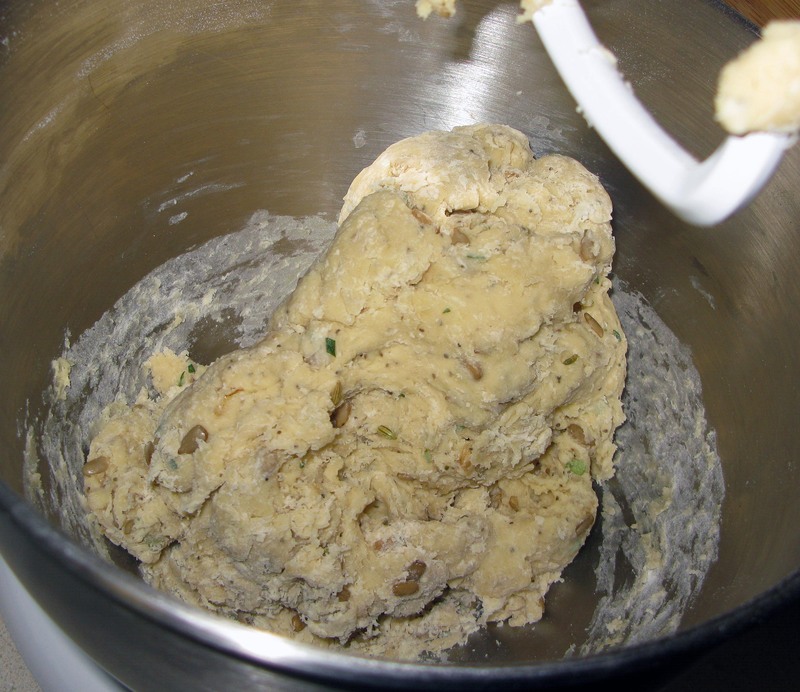 Add the flour and continue to stir the mixture until a soft dough forms. 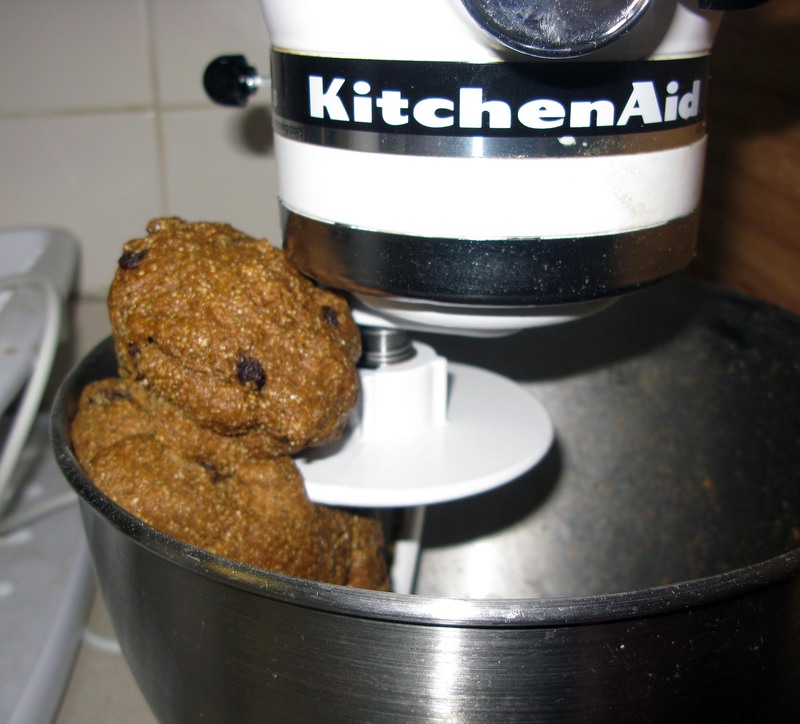 If you’re using a stand mixer, you can take the easy route and knead the dough with the dough hook at the lowest speed for about 5 minutes, or until the dough is soft and elastic. Otherwise, you will need to knead it by hand for about 10 minutes. 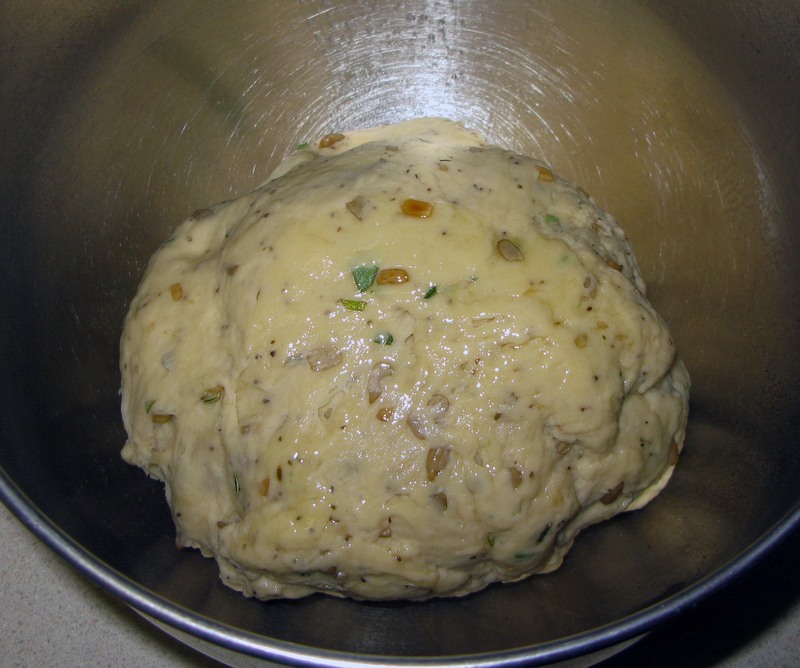 Once your dough has reached the desired consistency, transfer it to an oiled bowl, turning once to coat both sides. Cover the bowl with a kitchen towel or plastic wrap and set aside. Next, add in the butter, milk, and eggs and stir until combined. To make sure everything is mixed correctly, it’s best to stir together your flours, salt, and cinnamon in a separate bowl before adding them to the wet ingredients. This step is not entirely necessary, but I like to stir about a cup of this mixture into the wet ingredients first to make a sludgy liquid. 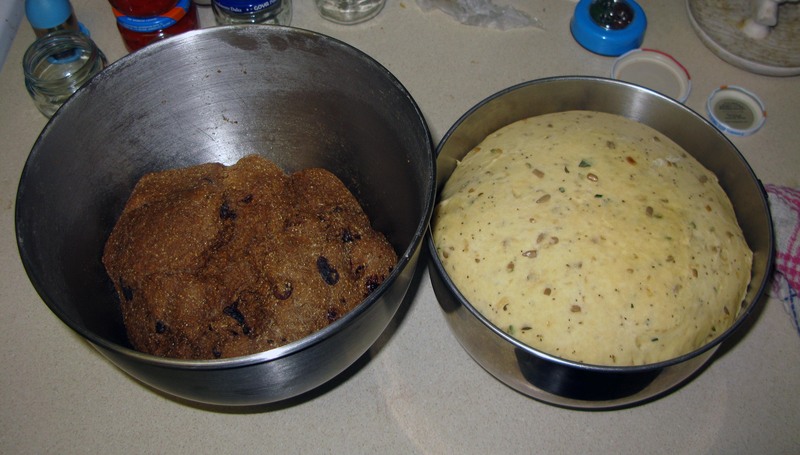 Add the remaining dry ingredients and stir until the dough begins to come together, then add in the raisins and work them in until they’re distributed throughout the dough. Knead the dough for 5 minutes with a mixer or 10 minutes by hand, until soft and elastic. As you can see above, my dough kept trying to climb out of the bowl. If that happens to you, just carefully push it back down. Once you’re done kneading, place the dough in an oiled bowl and turn it once to coat the other side. Cover it with a kitchen towel or plastic wrap just like you did with your first dough. Leave both doughs to rise in a warm place for about an hour, or until approximately doubled in size (we’re using our imagination here for my sorry molasses dough). I preheated my oven to 200°F, turned it off, and then placed both bowls in the oven to help the process along. 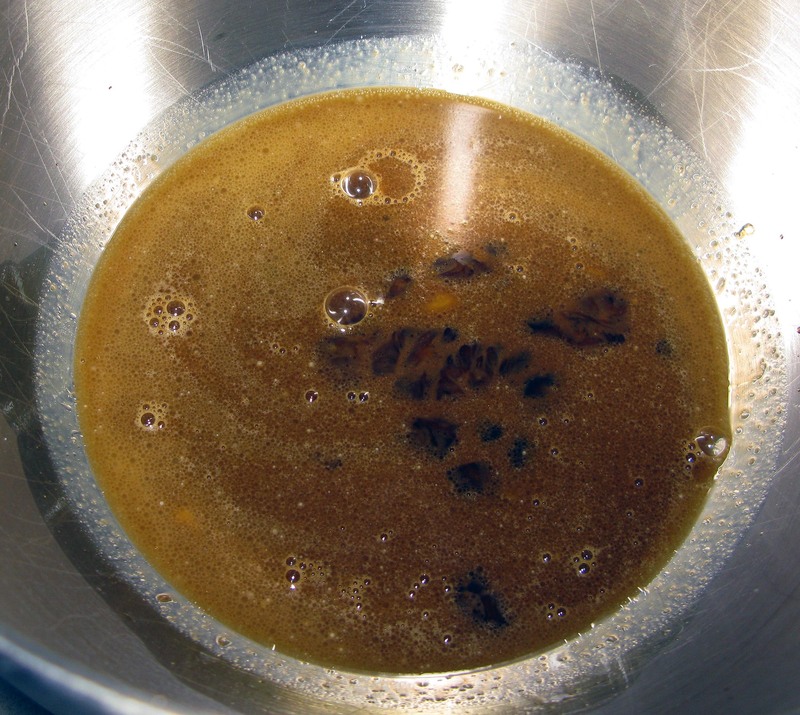 Punch the doughs down and divide each of them in half, returning one portion of the molasses dough to its bowl. Line a large cookie sheet with parchment paper. 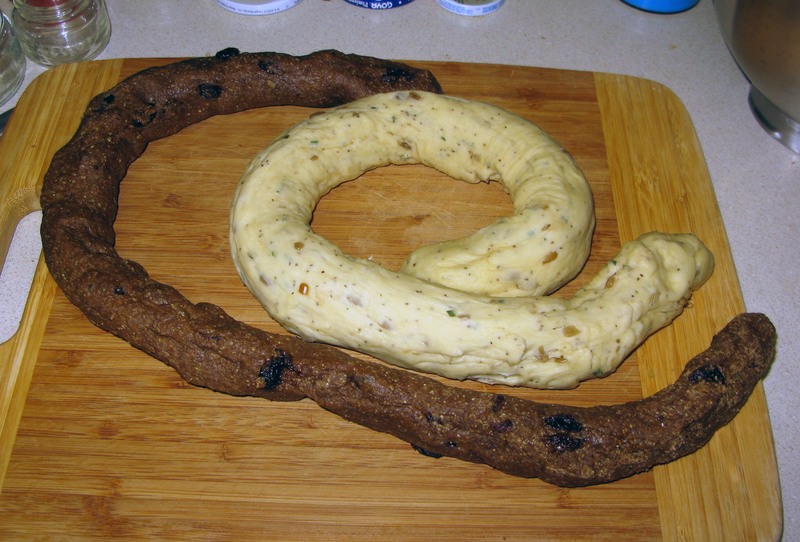 Roll the three portions of dough (two herb and one molasses) into thick ropes, approximately 2 feet long each. 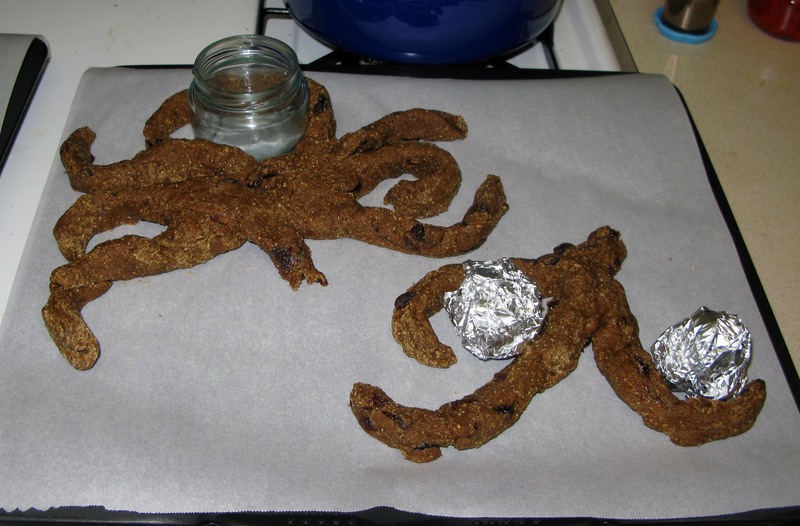 Arrange the three ropes on the cookie sheet with the molasses dough in the center. 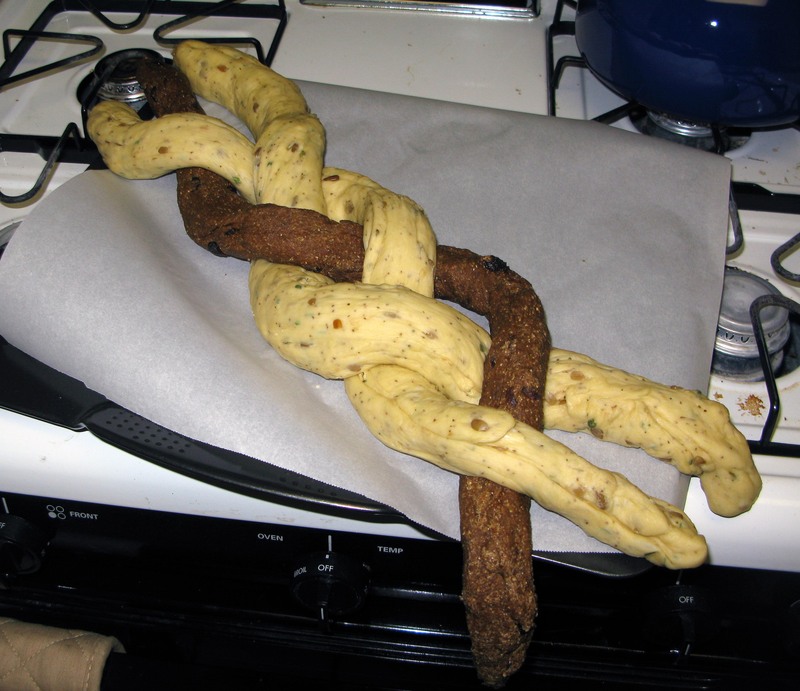 Loosely braid the dough ropes together, leaving about 4-6″ unbraided on each end. You want to leave enough space here to fit your jars in between the plaits. The extra rope on the ends will give you a little wiggle room when you inevitably need to adjust everything. Carefully insert your ramekins, jars, or aluminum foil balls in the spaces between the braids. You will probably have to manipulate the braid a bit to get all of this to fit. Line a second cookie sheet with parchment paper and divide the remaining molasses dough in half. Use one piece to make the crown of the tree and the other to make the roots. 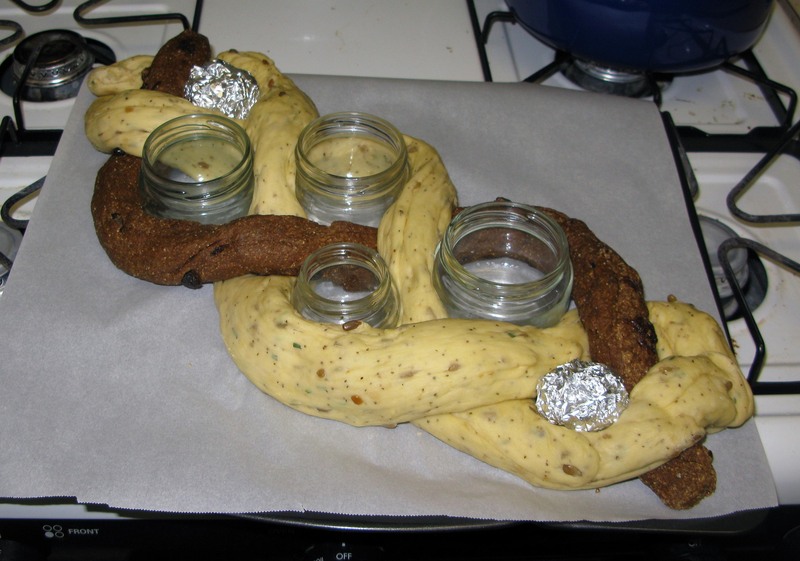 I made cuts in each dough ball so that I had tendrils to bend around, then manipulated them so that I could fit some more jars in the bends (it is hard to fit 9 little jars in one giant braided bread, after all). Leave all shaped bread pieces to rise for another hour. It won’t quite double in size, but it should puff up noticeably. Beat an egg and carefully brush egg wash all over the top of the bread, wiping up any drips on the parchment paper. Preheat your oven to 375°F. While you’re waiting, fill each jar or ramekin approximately halfway with hot water. 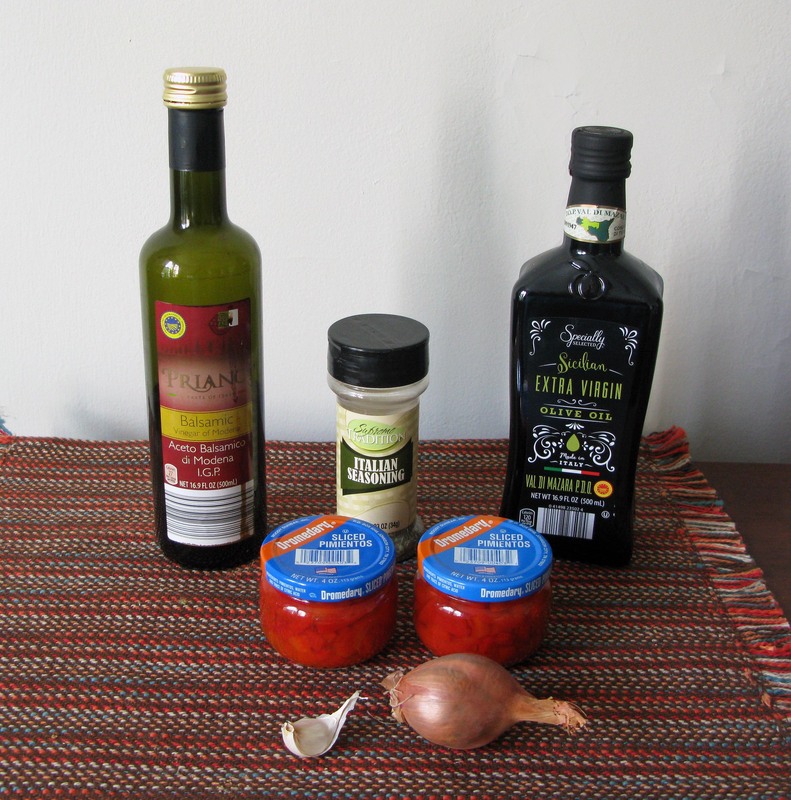 This will help to prevent the jars from cracking due to the sudden change in temperature when they go into the oven. I did test my jars in a 500°F oven for 20 minutes first before using them, and I’d suggest you do the same if you’re using anything that doesn’t explicitly say it’s oven-safe. When your oven is up to temperature, bake the breads for 20-25 minutes. The tops should be golden-brown, and the interior temperature should reach 200°F. 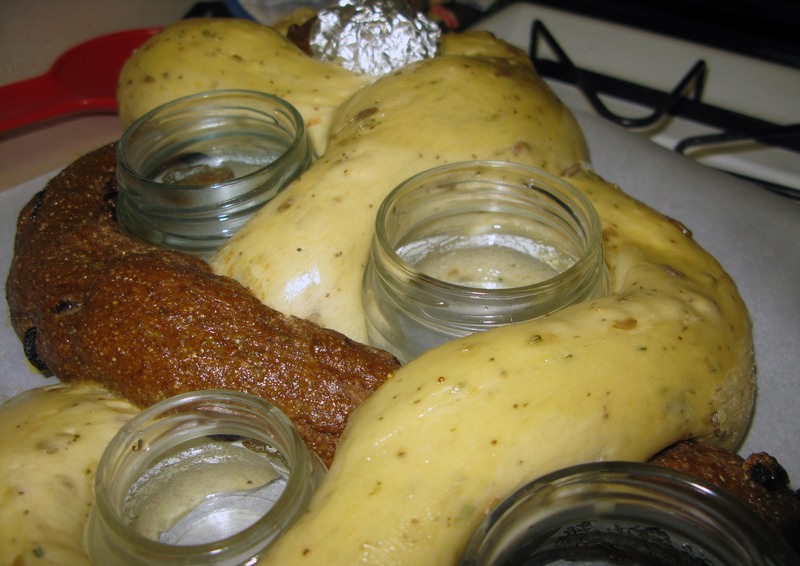 When everything is cool enough to handle, CAREFULLY remove the jars/ramekins from the bread and pour out the water. At this point, you can clean them up a bit of you want, but you’re just going to put them right back into the bread, so it’s not vital to get them spotless. Finally, it’s time to make the Aether dip. This is the easiest part of the whole thing. First, drain the pimentos. Then, put them in a food processor along with the garlic, shallot, Italian seasoning, 1 teaspoon of olive oil, and 2 teaspoons of balsamic vinegar. 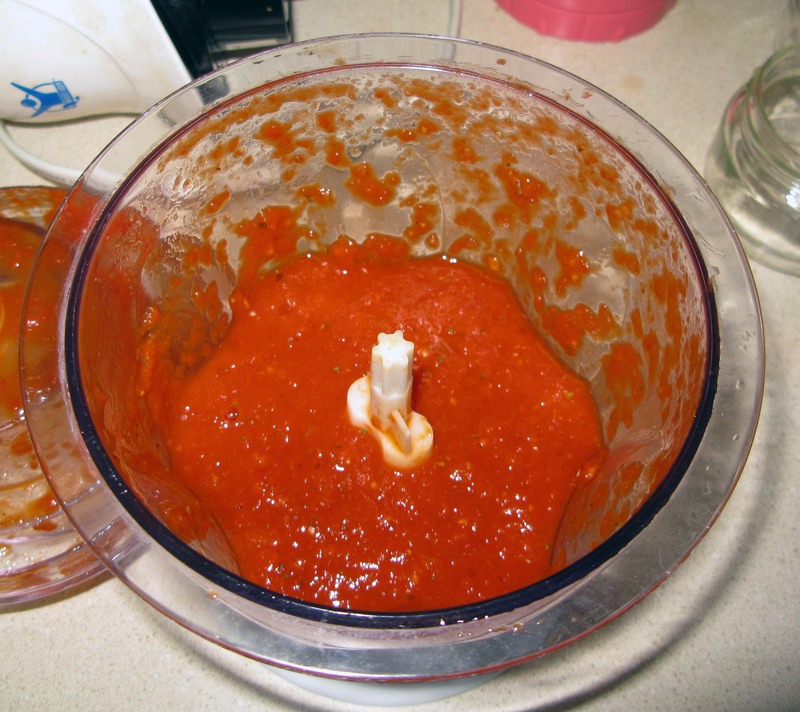 Process until it is about the consistency of crushed tomatoes (or whatever consistency you’d prefer, really). Transfer the dip into one or more of the jars in the bread and top with a drizzle of olive oil and a splash of balsamic vinegar. Swirl them around a little for visual effect. You can fill the remaining jars with dips of your choice. I decided to use a mix of sweet and savory dips and spreads, as well as some little jars of dry spices where the foil balls were. If you’d like suggestions, olive oil, softened butter and/or cream cheese, and pesto would work well, as would cinnamon sugar, red pepper flakes, and Italian seasoning. The bread will keep for up to 5 days in an airtight container, but be sure to refrigerate any perishable dips (including the Aether dip).